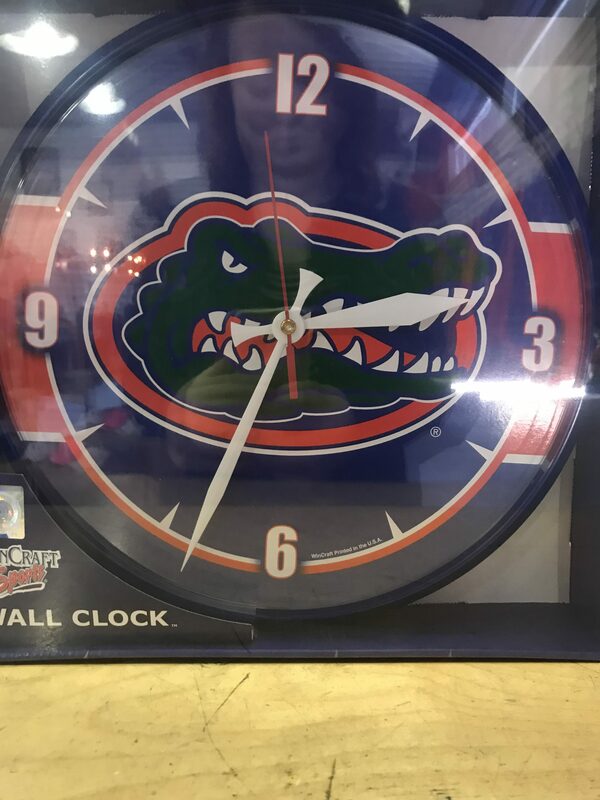 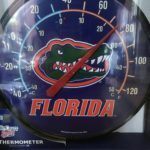 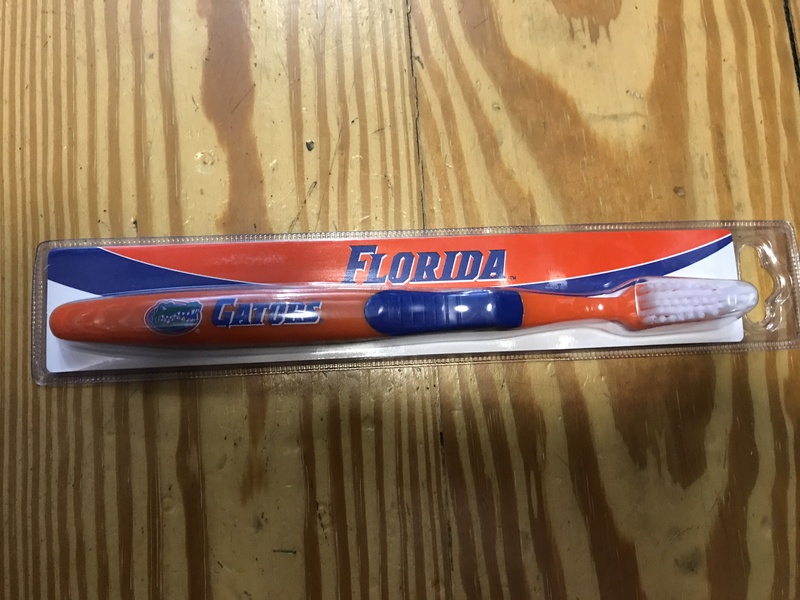 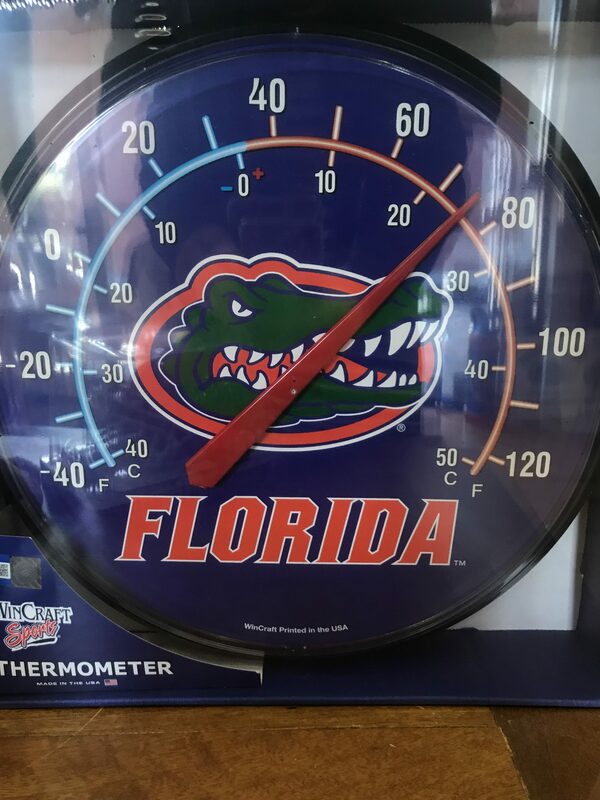 Blue clock with Gator head in center, with orange trim around it. 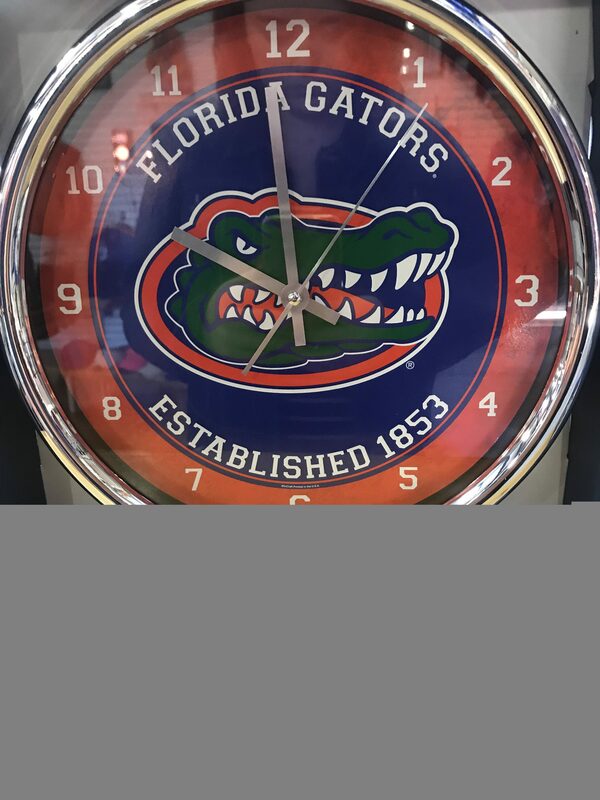 In a chrome style frame. 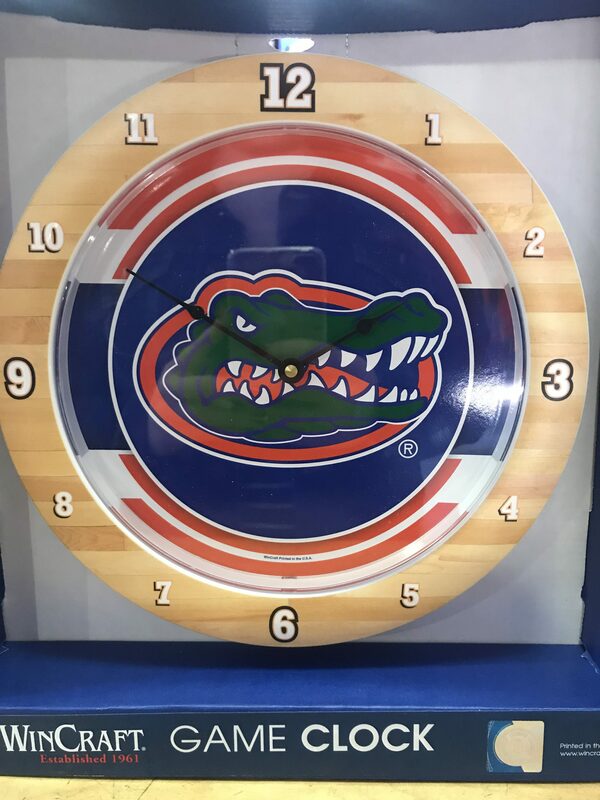 Blue clock with Gator head in center, with orange trim around it. 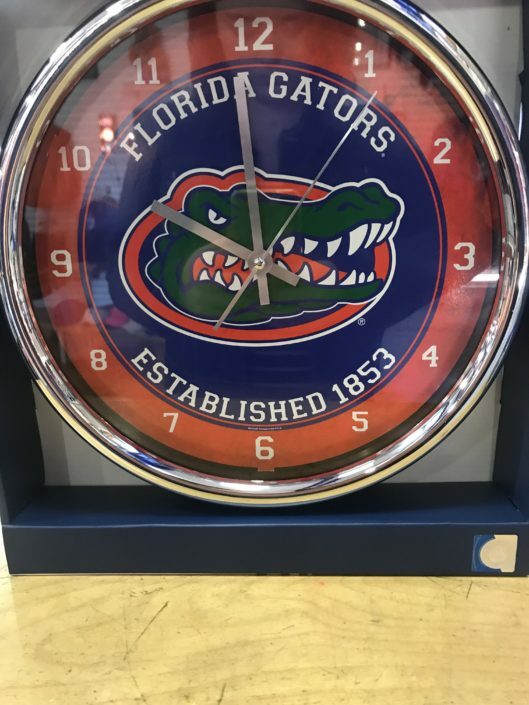 In a chrome style frame. 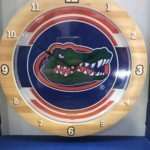 Made by Wincraft.